This was our 11th trip to the island as a family and we have stayed up and down the West Coast but nowhere has been as welcoming and relaxing as Villa Horizon. We are already planning a trip for next year and once we have the dates will be booking the villa. The booking process was extremely efficient and smooth, there were very clear instructions on how to get there and we were met when we arrived. The property is spotless and it is nice that the little touches are thought of which makes you feel so at home. The location is great in that it is very peaceful, but just a short walk to the beach, Jujus and Lone Star and also close to Holetown. I would highly recommend the property, the people that Adrian has running it and Adrian himself of course. Excellent location, security systems inside and out. The pool view was superb. I enjoyed the foyer and garden. Lovely indoor & outdoor audio surround system. A bathroom and an a/c unit in each bedroom!! Great hospitality services!! Thank you for your feedback, Antonio. We are happy that our product and services met your approval. We try our best to ensure that our guests feel right at home and look forward to welcoming you back in the near future. 6 of us stayed 4th to 15th January 2018. We thoroughly enjoyed our stay and Adrian was on hand to sort out anything we needed help with . Odessa the villa maid came in every week day and cleaned and put out fresh towels. It was lovely to come back to a clean and tidy villa. We thought the villa was ideally placed and we walked to the local beach ,had sundownersanot GG,s and ate at Lone Star one night which was really nice we even bumped into Simon Cowell . We really enjoyed the Sonos music system the pool area. We did hire a car and did prefer this area to the south of the island. Which we thought was a bit touristy . We thought speighstown was more true Barbados than the south. We catered in a few nights and the kitchen is well stocked with everything you need we even baked a cake . Just down the road is Limegrove shopping centre and we did enjoy riding on the reggae busses for $2 . Massy supermarket is also next to Limegrove and it stocks everything you need but it is expensive especially cereals cakes wine etc. We used a bakery in speightown to pick up some lunch on a few days, sausage Rolls were $2.50 Bbd . The area around the villa is very quiet apart from some baking dogs but I think they bark when the monkeys are about. No dogs roam free here! It felt very safe and we had a alarm we could put on and plenty of security lights. The Barbadians are such friendly people. Thank you Adrian for looking after us. I would definitely recommend this villa. The villa is in a perfect location for getting around to the many adventures Barbados has to offer. The villa is layerd out so there is plenty of room for everyone (we were a family of six). To find his or her own space. It is beautifully decorated with everything possible that one would need in a kitchen. The pool deck has is perfect for sunning, cooling off in the pool or enjoying the late afternoon sunsets. 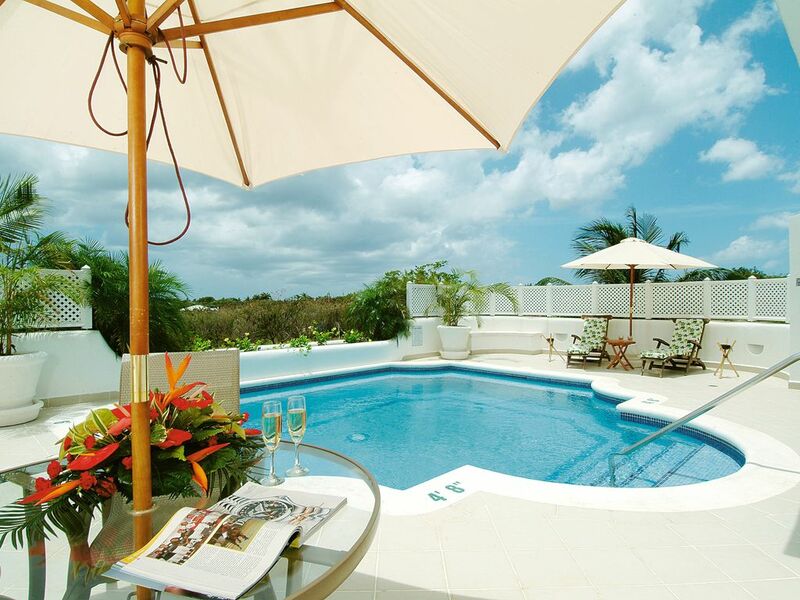 I would highly recommend Villa Horizon for a Barbados holiday . Villa Horizon is a gem of a property in an ideal location. Floor plan is spacious and practical. The pool and patio are spectacular. High end finishes throughout the house. We had a water pressure issue midway through our stay that was fixed within 1 hour of calling the property manager. Easy taxi access to Holetown (12-15 BBD per direction) and beautiful west coast beaches. The daily housekeeper is a nice bonus and very pleasant and helpful. Our family of four had a great stay and look forward to returning. Pre booking and payment procedures all stress free. First class comfortable accommodation tucked away in a quiet location just outside Holetown. Property manager and domestic staff provided a very good service throughout our 10 day stay. Loved our visit and would recommend a stay without reservation. Vista highlight- North Point but always best of the best is the warm welcome of the Barbadian people. Rates are inclusive of Housekeeping service 5 days per week (Monday to Friday). Additional days can be arranged for an additional fee. Unless you make specific alternative arrangements at the time of booking, the standard check out time is 12 p.m and the standard check in time for arriving guests is 3 p.m. Priority is always given to the arriving guests and late check outs, once available and approved, may be subjected to a charge. CANCELLATION POLICY The following cancellation penalty applies to all reservations cancelled by Guest before arrival: For Full Payment Guests receive: · a 50% refund of the total cost if they cancel at least eight weeks before check-in. · a 25% refund of the total cost if they cancel at least four weeks before check-in. For Split Split Payments: If the guest pays the full balance on time, they receive: · a 50% refund of the total cost if they cancel at least eight weeks before check-in. · a 25% refund of the total cost if they cancel at least four weeks before check-in. For Deposit Payments: If the guest pays the 25% deposit and cancels before paying the balance, or does not pay the balance on time, the booking deposit is not refunded, and the booking is cancelled automatically.